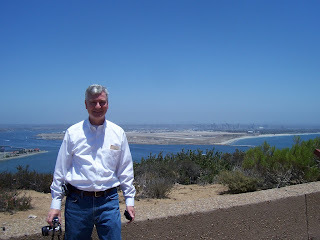 That's the Cabrillo National Monument in the background. 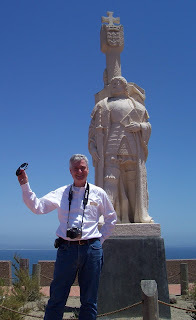 In 1542 Juan Rodriguez Cabrillo (João Rodrigues Cabrilho) of Portugal, was the first European to set foot on what is now the West Coast of the United States. 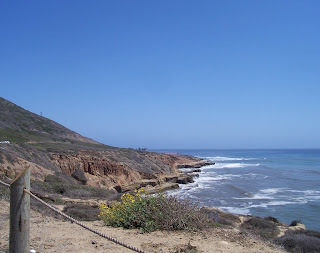 View of San Diego harbor from Point Loma. 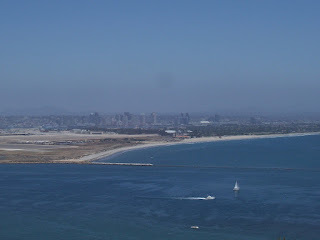 San Diego Bay and Harbor. 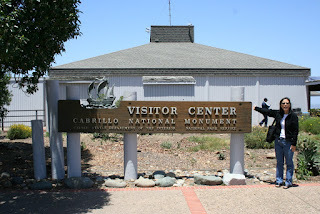 Outside the Visitor's Center at Cabrillo National Monument. 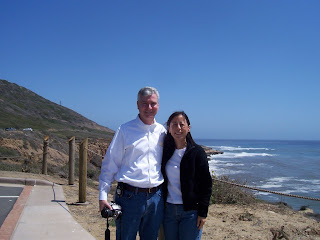 Photo of Catherine and me at Point Loma. 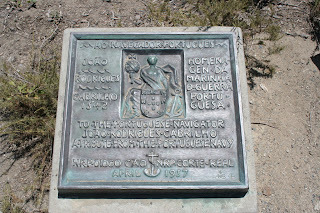 Historic Marker at Cabrillo National Monument. 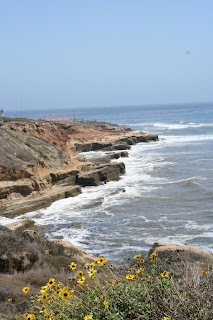 The Old Point Loma Lighthouse is the background of this photo. 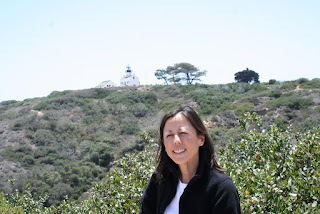 Catherine outside the Visitor's Center at Cabrillo National Monument. 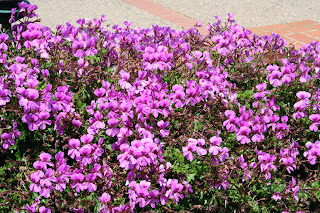 We saw beautiful flowers all around San Diego. 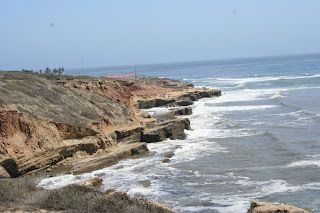 Point Loma is a peninsula bordered on the west by the Pacific Ocean and by the San Diego Bay on the east. 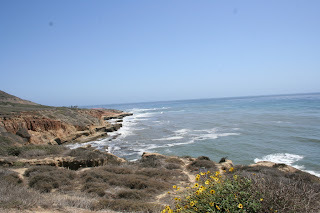 View of the Pacific Ocean from the California coastline at Point Loma. 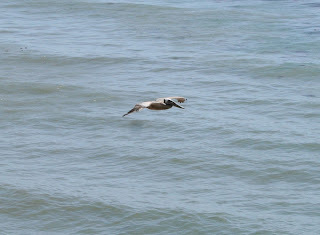 A Brown Pelican at Point Loma. 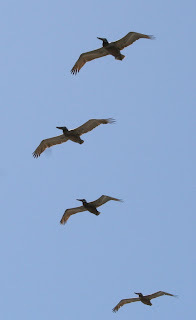 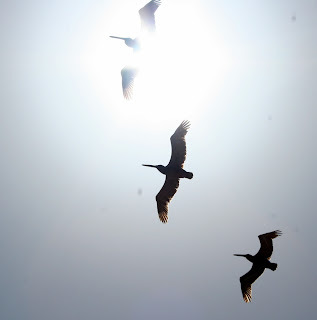 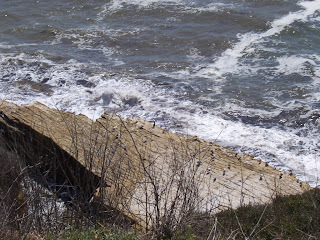 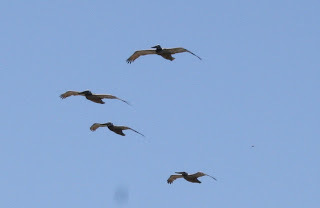 Photos of Brown Pelicans at Point Loma. 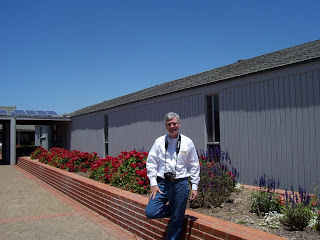 Hi John, beautiful blue shots! 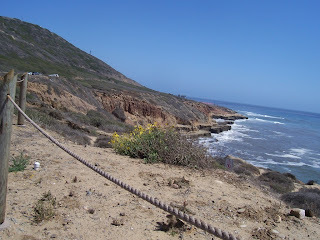 Lovely sky and sea! 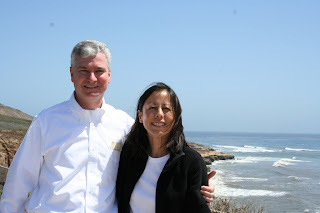 And you and Catherine look great! 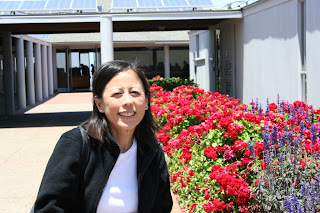 As we are almost at TGIF, have a great weekend!